Would you be confident about using an AED in an emergency? St John Training is running an AED course next Tuesday (19th February) between 9am-12 noon at Les Cotils, St Peter Port. Seconds are vital when dealing with a cardiac arrest. Having a defibrillator and knowing how to use it can make the difference between a life lost and a life saved. AEDs (Automated External Defibrillators) can be found around the island in workplaces and public sites. 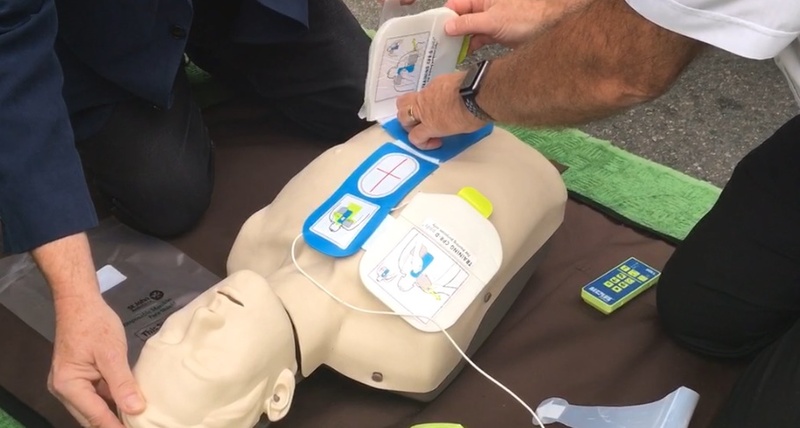 Anyone can use an AED to help a patient in cardiac arrest. This course teaches the essential skills required and gives you the confidence to known what to do. No previous first aid knowledge is necessary to attend an AED course. The certificated 3 hour St John course costs £75.